If the previous entries into the franchise were beginnings, Monogatari Series: Second Season was most certainly a story of seperations, of departures, and of change. There’s really only one viable path into a discussion about Monogatari, and that’s through the characters. As I said earlier, I’ve spent a good deal of time with these people, and it’s nothing short of emotional and touching to watch them as they change and become other than what they have previously been. 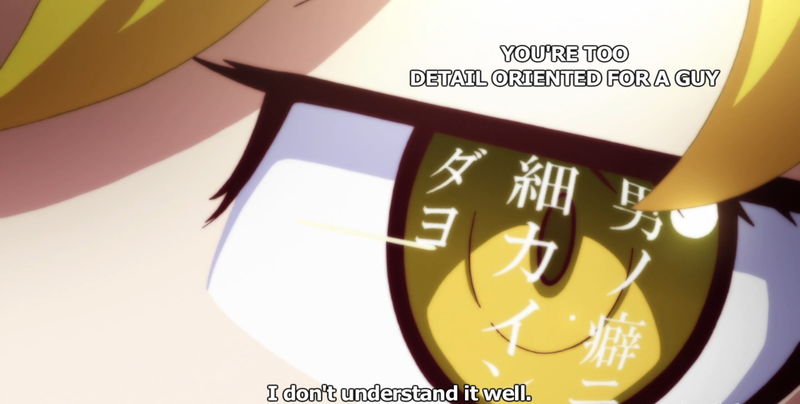 I’ve also already touched on what I think is the most significant theme of Monogatari. Change. Monogatari is about change. Change in people. Change in times. Change in situation. Change in life. It’s about the beginning of the end for Koyomi Araragi’s harem, a group of girls who have formed around this multi-faceted (not always in a good way) boy—a boy who has yet to move beyond his own flaws and his own selfishness. It’s about these girls learning to live without Koyomi Araragi. And, in doing so, in changing they are allowed to become truer expressions of themselves. Araragi has made a lot of unhappy people happy, through his kindness towards them and through the love his actions have generated in these girls. And, he’s made himself happy, as well. That’s great, and it’s a comfortable situation to watch emerge. That’s what everything up to this point has been building: comfort out of pain, a semblance of order out of chaos. But Araragi doesn’t have the strength, or even the capacity, to be the pillar for Hanekawa, Nadeko, Mayoi, Karen, Tsukihi and Senjougahara all at once. And so, Monogatari is the beginning of the end of those comfortable days, those days when Koyomi Araragi can solve people’s problems for them and support them all on his own. Unlike watching his cozy harem form, watching it slowly fade away is a profoundly disturbing experience. I don’t mean a disturbance of any violence, but a subtle disturbance of the viewer’s comfort—of the fantasy that both Araragi and the audience have come to accept as reality. 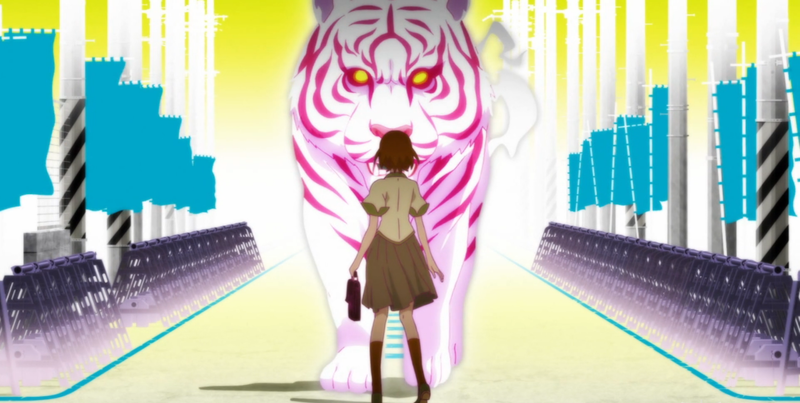 Seeing the Tsubasa Tiger arc through Hanekawa’s eyes, I think, solidifies this theory, as we’re finally able to hear the thoughts of the virtuous paragon: the girl who doesn’t hate, doesn’t envy and is never anxious. Yes, Hanekawa has been living a life of white lies, a life in denial. She denies her feelings and emotions, those painful realities that make us human. Because of this, Hanekawa has always been something of a terrifying figure, someone who made me nervous to watch. I never understood Araragi’s undying fascination and admiration for her— although this is, I suspect, somewhat due to the fact that the exact details of Kizumonogatari are still hidden. But the Hanekawa in the Hitagi End arc might as well be an entirely different person. Freed from the shackles of her self-imposed perfection and from her reliance on Araragi, the Hanekawa that appears in front of Kaiki is in control of herself; she feels like and is, for the first time, a whole person. She retains her natural intelligence, but she’s no longer dyeing her hair to hide the white streaks. It’s an important symbolic moment, as it shows that Hanekawa has fully embraced all parts of herself. And while Hanekawa can’t quite fully manage Kaiki in a conversation (few, if any, can), she holds her ground far better than anyone else we’ve seen. As evidence is Hanekawa’s reasoning for her overseas travels. She tells Kaiki, “It will be easier for Ms. Senjougahara to act.” While she admits that she wants to save both Senjougahara and Araragi, it’s no coincidence that Senjougahara is the first name she utters, nor is it random that her reasoning is to enable Senjougahara. 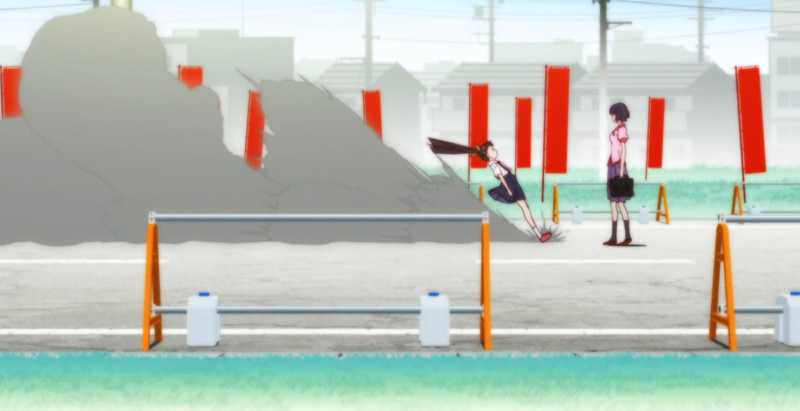 Hanekawa certainly has not forgetten about Araragi, but she’s no longer the cat of Nekomonogatari: Kuro that came sprinting to Araragi’s side after a single text message. Hanekawa is, more or less, now removed from the world of apparitions, having conquered her own trials. And so, she stands aside as Araragi and Senjougahara battle for their lives, aiding them from the outside. 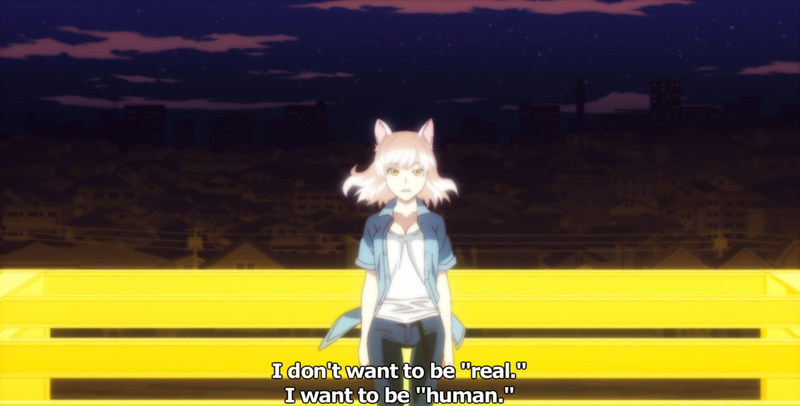 The current Hanekawa is no longer “real.” She’s become fully human, fully herself. She’s now someone I would want to be friends with in real life, not some idealized image of the perfect human. She’s found identity within herself, away from Araragi. Even if she still is helping Araragi, she’s no longer part of his harem. She is an individual person, defined by herself and herself alone. 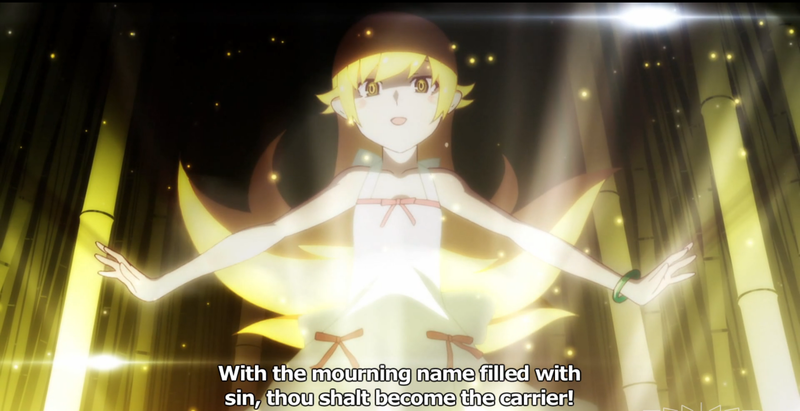 Shinobu is an interesting case in Monogatari. I was promised by many that she would take a larger role in this iteration of the franchise, and for the most part, that was true. However, Shinobu’s biggest role actually came during the Mayoi Jiangshi arc, rather than the arc that was named after her, Shinobu Time. Shinobu grew a lot on me during Mayoi Jiangshi, as she was framed more of a partner to Araragi than she has been in the past. Rather than simply being a somewhat distant, vaguely dangerous shadow, she starts to work with Araragi and their bond is noticeably strengthened by the end ofthe arc. 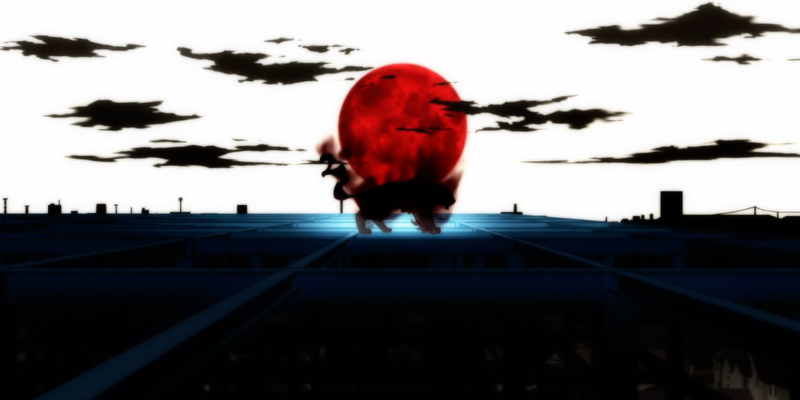 Considering the implied fact that Araragi’s absence is the reason the Kiss-shot of the alternate timeline goes crazy, its reasonable to also assume that Araragi’s presence near Shinobu Oshino of the main timeline is having a pacifying effect. The longer they stay together, the closer they will become and the more reliant Shinobu will be on Araragi. Equally important, though, is Shinobu’s role as an emotional support for Araragi. It’s not only their rapport and ability to banter with each other that improves as they time travel and attempt to defy fate together. Araragi’s reaction when he discovers Shinobu is no long in his shadow during the Shinobu Time arc is more than just worrying about a friend; it’s the panic of someone who has lost something precious. As the rest of the harem dissolves around Araragi, I suspect she will become more and more important to him, even if he doesn’t realize it. And now we come to the girl labeled by Nadeko as “Araragi’s Best Friend.” This raises the interesting point of labels: I won’t deny that Araragi’s harem has noticeable tropey harem roles for each of the members (perfect girl, loli, tsundere, sporty-girl, imouto [x2], childhood friend), but it’s more interesting to categorize them by their relationship with Araragi. So, what’s the point in laying the girls out in this way? I think the demonstration is ultimately that each of them fulfills a different emotional need for Araragi. As far as we know, Arargi had no friends before the initial events of Kizumonogatari. In other words, he was lonely and unfulfilled. No matter how strong or independent a person is, there are intrinsic emotional needs that must be filled by other people. In a way, the formation of the harem was a completion of Araragi, a constellation of people who could address all of his human needs. Which, of course, means that the dissolution of the harem is the path towards Araragi’s incompletion. Mayoi is the first step. As Araragi’s best friend, she occupies a fascinating emotional space in which they’re allowed a relationship without the pressure of emotional feelings. That’s why, although his sexual harassment of Mayoi is disgusting, their relationship can continue; because they’re best friends. As much as I hate to call groping, “playing around,” contextually, that is essentially the role it falls into. It’s a game for the two buddies, a unique relationship interaction that can only occur between the two of them. Is there anyone else in the cast Araragi has the capacity to treat this way? There is not. 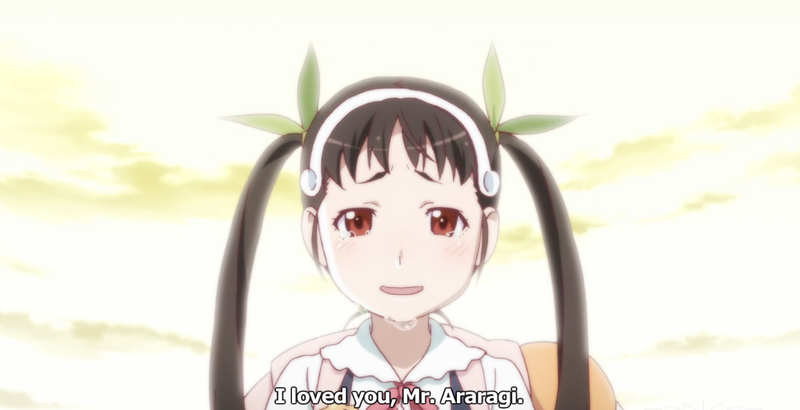 Therefore, although Mayoi reveals with a kiss and a confession that she loved Araragi, she also makes the choice to move on from him in a final act of friendship—to save Araragi, she accepts herself. By letting go of Araragi, Mayoi becomes the truest expression of herself: she develops and grows into her true identity. As sad as it is, her identity is that of someone whose time in the world is over. But she has to let go of Araragi to do so. And so, as Mayoi leaves Araragi to complete herself, the first layer of Araragi is stripped away. This review will continue in Part Two. Nice analysis of some of the Monogatari characters, Monogatari has always had a colorful cast but Second Season is really the culmination of all the buildup and development up to that point and it really does define all of the characters in very interesting ways. S2 was indeed a time of change and shifting, and it brought so many more dimensions to much of the cast and I have lots of love for it as a result. I still have yet to watch Hanamonogatari so I’m hoping to get to that soon but I look forward to the rest of what the series has to offer, if anything ahead can match S2 in quality I can be sure I’ll enjoy it. I enjoyed this analysis, even though I’m not familiar with the characters. Very we’ll written and intriguing! What do you think is the thematic significance of Hanekawa’s name? (羽川 翼, where “hane” means wing/feather, and “tsubasa” means wing). I’m asking because this being Monogatari, names seem to have some sort of significance. For example, Mayoi’s name is a pun on the verb “mayou”, meaning “to get lost”.